The Dreamers - changing the world one mind at a time. Will have already changed the world. The Occupy and Arab Spring movements reflect a worldwide frustration with how 1% of the population controls everything for their own benefit at the expense of the 99%. Countless millions of us are finally ready to take action, but we first need to agree on which policies to support. The info on this site suggests how we might bring reason, fairness, freedom and opportunity to all the people of the Earth. 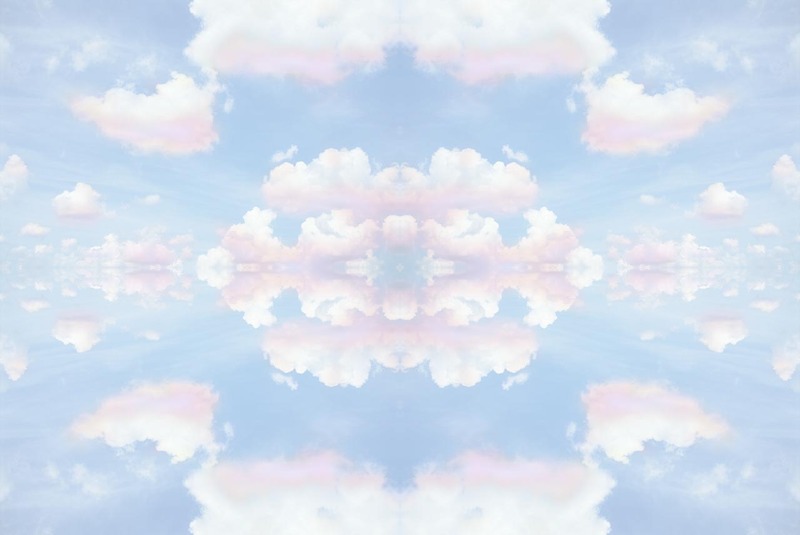 A single, worldwide government would end wars between nations and the threat of nuclear war. The problem isn't big government, it is corruption and inefficiency in government. An Informed (direct) Democracy would provide a means of controlling these problems, without the problem of mob rule, by placing immediate power in the hands of the people. 10% of the U.S. population owns almost 90% of the wealth. If they could get by with only 80% it would DOUBLE the standard of living for 90% of the population. An "Exchange Tax" at the same rate for everyone, with no loopholes and no other taxes, could make this happen. Government competition with private enterprise in areas of basic necessity would reduce prices and provide guaranteed employment for everyone. This would end unemployment, welfare and homelessness, while everyone would still be free to make as much money as they want. Huge reductions in military spending could finance projects that benefit the people directly. We could have free health care and free education -- and all digital media, including music, movies and software, would be available free, which would solve the digital pirating problem. The construction of one-building cities housing 100,000 people or more could cut the cost of living in half for those fortunate enough to live there. Worldwide enforcement of environmental regulations would prevent pollution and eventually stop the climate change problem, deforestation and depletion of fish stocks. Replacing the Federal Reserve and the practice of fractional lending with a government bank would end inflation, stabilize the economy and provide low interest small business loans to the masses. Legalizing freedom of choice in the pursuit of happiness (the freedom to do anything which doesn't harm others) would cut crime and prison populations in half. And there is much more that can be done. The 99% are ready to act. If they're going to step on us, the least we can do is make a noise. 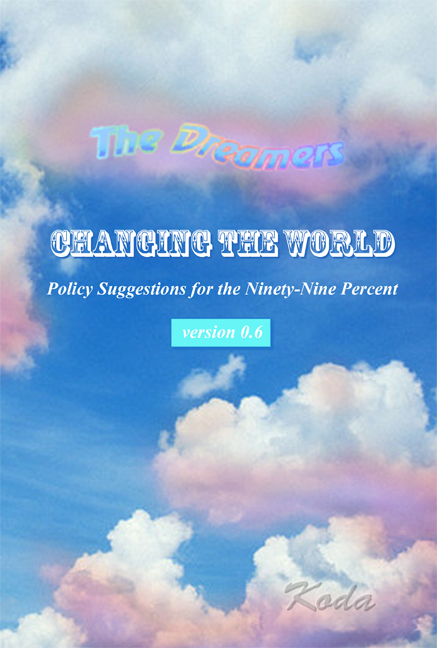 The information on this site is derived from my book, Changing the World: Policy Suggestions for the Ninety-Nine Percent. You can click through these pages to read the material, order a physical book, or download the latest version free as a PDF file by clicking here. We, the Dreamers, hope these ideas will make sense to you, that you too will become a Dreamer and help spread the ideas throughout the world.